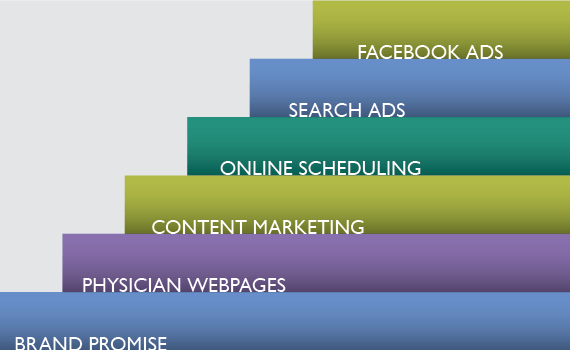 Think of primary care as the biggest part of the marketing funnel. Everyone needs primary care. In fact, more people need it than ever before with the newly insured and a rise in chronic illnesses, such as diabetes and asthma. However, with the shift from primary care physicians providing care to empowering patients to manage their own health, this now stretches the funnel even wider to educate a larger audience on wellness and preventive healthcare. 1. 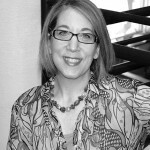 Develop a brand promise The first step to attract patients to your primary care office is to develop a brand promise that differentiates your office from all the others. Why should a prospective patient pick your office instead of the one down the block? Why should a patient continue to visit your office instead of seeking care at the local pharmacy? What are the benefits to the care at your office? Figure it out what you can reasonably promise and deliver on it. 2. Create a webpage for each physician Within the hospital or health network website, create a webpage for each physician with a direct link and SEO. On the page, include a detailed bio, a photo, a bio video, and a calendar with participation in community events, appearances, and speaking engagements. This will allow prospective patients to get to know the physicians better before scheduling an appointment and may deter them from hitting Google to gather more information. It’s also a good idea to list content and videos once that is developed for each physician (see next). 3. Content and video marketing Content and video marketing do two things: 1. Establish physicians and practices as thought leaders and experts in the field, and 2. Allow patients to get to know the physicians’ care style and areas of expertise. Different topics for content can be based on each physician’s specialty and seasonal or newsworthy subjects. Content marketing is especially great for wellness and patient education because it provides tools and resources to patients who are looking to take their health into their own hands. 4. Online scheduling capabilities If a prospective patient is searching through pages of physicians and carefully reading through all of their content, wouldn’t it be great if they could schedule an appointment right on the page? Don’t create an extra step by making them pick up a phone. Convenience is key for busy patients on-the-go. 5. Search advertising Search ads for specific practices are convenient for patients searching for a physician in a specific location, such as near their home or work. Dynamic search ads that insert the consumer’s search query into the headline of the ad are very effective, especially when searching for specific locations. 6. Facebook advertising Newsfeed ads are a great way to reach patients, especially when using retargeting. For example, if a prospective patient was searching through physicians on your hospital’s website, retarget them on Facebook with related content they might find interesting or with a direct call to action to schedule an appointment now. Bonus points if you set up online scheduling within your practice Facebook page. To learn five more ways to promote primary care, download our white paper, 11 Steps to Effectively Market Primary Care Services. I understand and agree to the terms and conditions. Short version: we don't share your data with anyone.